SO frustrated. My rats keep chewing through the fleece shelf liners & burrowing. I am getting so frustrated! My rats have started chewing through their fleece shelf liners in the corners of the shelves (I clipped down SO well on the sides with binder clips but that doesn't even matter now) and burrowing down under the fleece. I've replaced the fleece twice now but it keeps happening. Does anyone else have this problem? Any ideas how to fix this issue and stop them from chewing into the fleece, or is it just a lost cause? I don't understand because they have plenty of other places to burrow and things to chew in their DCN cage. Re: SO frustrated. My rats keep chewing through the fleece shelf liners & burrowing. Yeah that is unfortunately common with rats. I have found leaving your liners loose and not clipped or folded under the pans keeps them from chewing. They want to dig and pull up the liners so they will chew them to get under them. If you leave them loose you will have to fix them every day, but at least they won't be disintegrated by the end of the week. This is a problem that revisits us over and over. When you find something that works for your current rats, it sometimes doesn't work for new rats and you need to figure out something different. I keep adjusting the way I do things. Fortunately, I have found that when rats get older (more so for the males than the females), they are less likely to chew and burrow. So sometimes I just put up with it and give the chewers crappy liners that I have repaired over and over until they grow out of it. I replaced the fleece liners with Zilla liners. They left the Zilla liners alone for months, then they made a couple tiny holes in one of them, and now 6 months later the liners do NOT have any extra holes. I put some fleece in a plastic basket for them to sleep in. I replace that fleece every day, as they will pee in it from time to time. The Zilla liners also decrease the smell by at least 50%. I have two sets of Zilla liners and they costed me about $50-60. The other day I went to Costco and bought a "Clean and Green" indoor/outdoor 6'*9' area rug for about $16! It looks very similar to the Zilla liners, but haven't got a chance to use it yet. The Zilla liners absorb the pee very well. You can see where they peed because it looks dark green. Each time I see some pee, I use a paper towel to take it out. I couldn't do that on the fleece. No matter how many time I washed/dried the fleece it would always sit there and get into my rats if they happened to walk over it. I have just started using bath mats for this same reason. My girls destroy all things fabric. So far? Great for smell, and only a few chew marks here and there. I give it 2 thumbs up! You can also try to add some wrapping paper (the kind that comes in the mail to protect whatever you bought) to keep them from shredding the fleece. My rats love it! It makes a mess though in their cage . By morning there are a thousand small pieces stuffed in their space pods, hiding places...it is a lot of fun for them. I was so glad to find this thread. I have been rapidly going through large DCN size fleece liners, as they chew holes RIGHT IN THE MIDDLE. The ones they chew on the sides, I can cut down and use for the half-size shelves, but when they chew in the middle, they are useless. I'll try leaving them only minimally clipped and see what happens. I don't use fleece anymore, but when I did I cut a few holes in them (double layers of fleece) on the upper fleece layer. It help to cut down on the number of holes. I don't repair just standalone pieces of fleece, but I do repair liners that have holes or tears in them. I have no qualms about using thread to repair them - they are sewn together using thread, as are the hammocks, and there is no greater risk in repairing them using thread. It is not like using towels, which unravel into tangly strings that can easily catch feet. And rats are not like chinchillas, which cannot use woven cotton material or hammocks with seams because of the risk of impaction - rats will not swallow what they chew. If a piece of fleece is completely missing, leaving a hole, or if the damage is extensive, I cut away the damaged portion of the fleece, cut a rectangle of fleece large enough to cover the damaged portion, pin down to the furniture pad, and zig zag stitch around the rectangle. This often ends up looking fairly nice. My current rats like to go under the liner, chew a hole in the furniture pad, burrow between the fleece and furniture pad, and shred the furniture pad (fortunately, they leave the fleece intact for some reason). To repair this, I just cut away the bad furniture pad, cut a new rectangle of furniture pad, pin over the damage and zig-zag stitch around the edges. To discourage that behavior, I am experimenting with quilting the liners by sewing a grid across the top of the liners. This will prevent them from being able to get in between the two layers and hopefully discourage the shredding of the furniture pad. I just put in the first set of such quilted liners on Friday. So far, they appear to be intact, but time will tell. I started with a large grid, but will make it tighter (smaller spaces between rows of stitching) if need be. If you look carefully at the gray shelf liners in this picture you can kind of make out the "quilting." My rats DESTROY my fleece liners. I get about 2 uses of them and then I have to throw them away. It helps fleece at Walmart is 1.97 a yard but still! I go through so much. I used to clip them down with binder clips but they just pulled it up anyways and would sleep between the tray and the fleece. Even when I gave them extra pieces to snuggle with. So I stopped bothering. Theres no point in me making nice liners because they just rip them to shreds! I tried just using the CareFresh bedding, but it gets EVERYWHERE. So that's not happening again. I'll stick to just putting the bedding in their litter boxes. I haven't tried Zilla liners, but I might have to splurge to get them. Might take me a paycheck or two. Another option if you have a critter nation, are those Lowes pans ($15) that some people use on the bottom level. I believe they are 5 inches high. My rats have always done less damage to sewn liners than to fleece that covered towels on the trays. 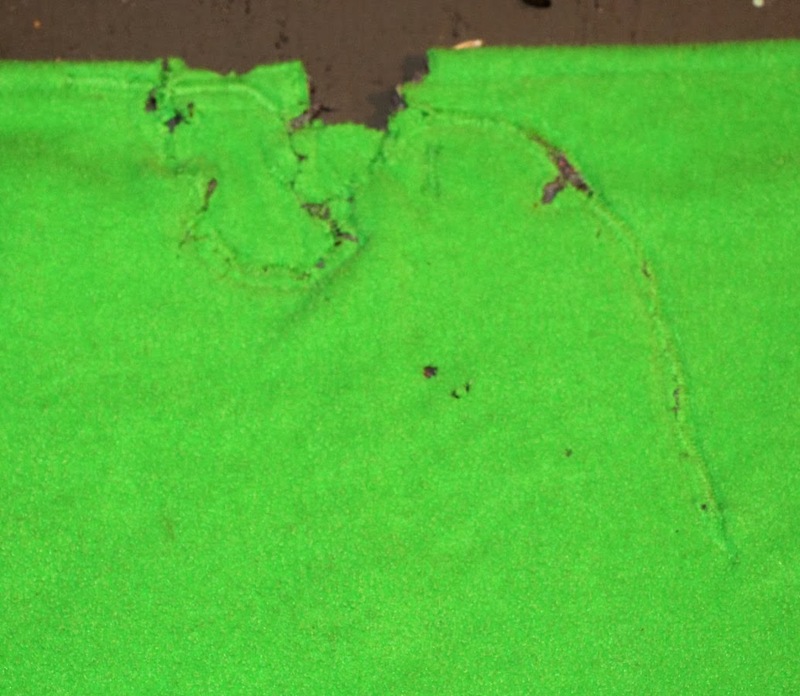 And when liners are chewed, they can often be repaired, but plain fleece cannot. The heft of a sewn liner discourages some rats from trying to chew into them or burrow under them. But there are always those who are going to foil you no matter what you do (one group of my current rats, for example). You just have to keep trying things until you find a compromise that works for your current rats (and then adapt all over when you have different rats). Something else to keep in mind is that Walmart fleece is pretty thin. My Walmart no longer has a fabric department, but when I did buy fleece from them in the past, it was much thinner than JoAnn's or Hancock Fabric's fleece (that was a long time ago, so it could be they have gotten better). JoAnn has a budget line of fleece that is also very thin - similar to what I have gotten at Walmart, and that fleece just does not last for me, so I won't buy it anymore. It is kind of a toss up sometimes. If your rats chew through the good stuff at lightening speed, no sense paying extra for it. But otherwise, the better fleece may last a little longer and give you some extra value, making the higher price tag worth it. Buying remnants from JoAnns when fleece is on sale often gets you the good stuff at an equivalent price to the cheap stuff.